Tuteurs are freestanding, pyramid-shape trellises, or obelisks. 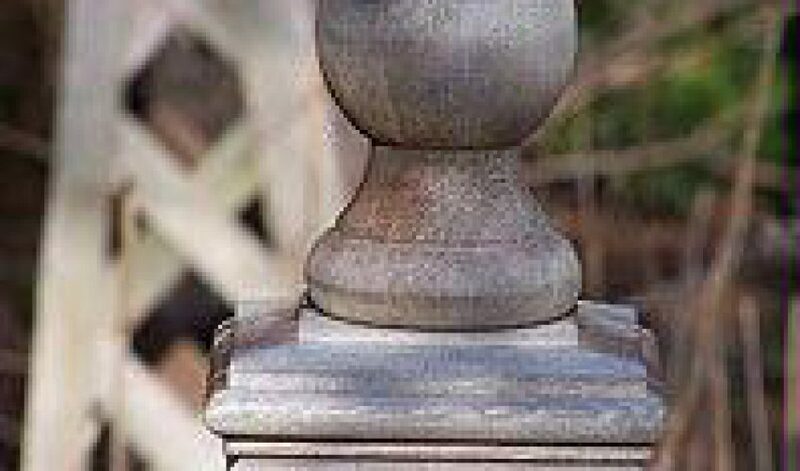 They are for placing anywhere in the garden that you want a vertical accent with classical style and proportions. The etymology is French, and it means to train or tutor — referring to plants, not people! (wink) These beautiful additions to the garden come in wood, a polymer wood fusion that I favor, metal or copper. They add height and architectural detail to otherwise low garden areas. I love them because they give the eye a place to stop and consider before moving on to the rest of the garden grandeur. My garden is filled with different types of tuteurs. They make great accents to any entry and when combined, make a focal point that welcomes all who enter your garden. When summer is in full swing, my tuteurs are bursting with color and blooms. Perfectly placed tuteurs have two functions — support and beauty. Creating height with layers in your garden can be dramatic when multiple layers are visible from across the garden. Any trellis support is desirable whether a tuteur or a simple decorative garden trellis in a planter or as a backyard planter that can help encourage climbing plants. They can be used outdoors or indoors depending on your space. This allows us to grow flowering perennial climbers with that extra detail and added whimsical look we all love. Go the next step and add nighttime interest by uplighting each with a small low watt halogen light. This creates major drama and pleasing visual depth in your garden. In my garden, I use my tuteurs for colorful clematis vines, climbing roses, and fairy roses. When choosing yours, be sure to choose climbers with lower climbing habits (as opposed to wisteria) so as not to overwhelm the tuteur and keep your pruning to a minimum. Many garden centers and flea markets have a variety from which to choose. I love these tuteurs. Find one or two tuteurs that work in your space. I love those that come with an interesting finial for added architecture. If you think you don’t need one, you do, even it is just for visual interest and a splash of texture and depth. My rule is if I see one that I love I don’t worry about where I will place it. I buy it and find a place for it. The more tuteurs I have in my garden the more details to notice and enjoy year-round. Find one today and experience the architectural interest it brings to any garden style.